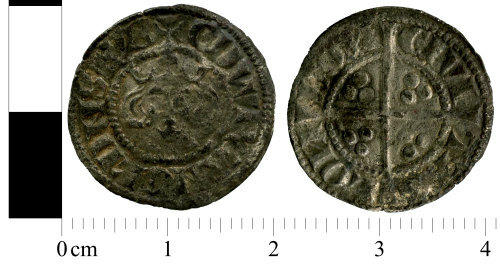 A silver medieval penny of Edward I. Mint of London. Dating c. 1279-1280. Withers class 2a. Normal N's on obverse. Reversed N's on reverse.